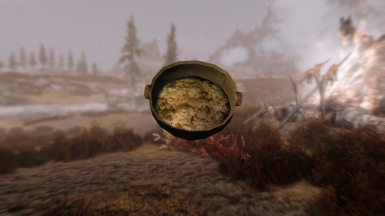 Retexture of Mammoth Cheese and Mammoth Cheese Bowl. Hey guys. I AM BACK!!! Over a year ago, I have lost all vision in my right eye and there is now getting it back. So I am done with the DR.s and moving forward with modding again. Sorry it's been a while. 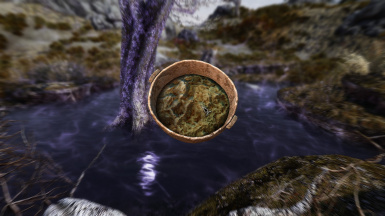 I will be working on my other mods to get them cleaned up and updated. Possibly redo them from the ground up. So look for some updates in the near future. 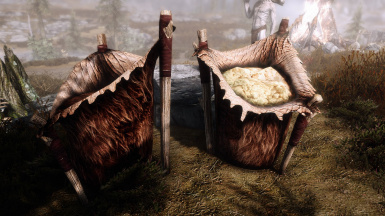 Since there are a lot of Mammoth Cheese retextures coming out, I thought I would go ahead and upload what I was working on a year ago before I lost my vision. This is only a 1K version for now. I do need to work on the cheese portion a bit so plan on some updates in the near future. 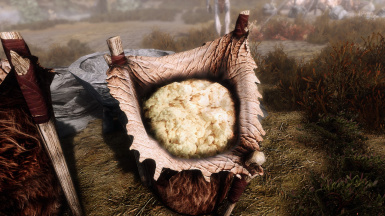 This is a 1k texture replacer for Mammoth Cheese and Mammoth Cheese Bowl. Optional File... Luxor8071 was kind enough to help fix my issue with the Cubemaps of the cheese. Thanks for this fix. The optional file requires the Main File. Just install and overwrite. Go check out Luxor's mods here. 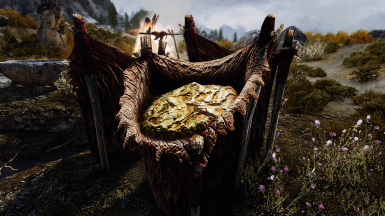 They are amazing mods that I can't and you shouldn't play without. Thanks again for your help.